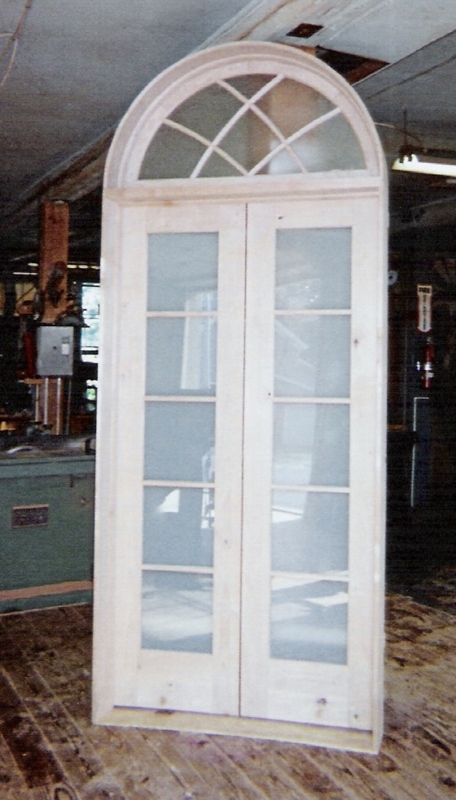 Double french exterior door unit using double pane insulated glass with simulated mullions - restoration project in PA Interior double french door unit - 15 divided lights in each door - NY Exterior double door with transom unit - insulated glass with simulated mullions - custom designed for renovation project in CT.
Elliptical arch top double french interior door unit - frosted obscured glass - Yonkers NY Interior double french door with gothic transom window unit - frosted obscured glass - project in CA Exterior elliptical arch top double french door unit - double pane insulated glass with simulated mullions. 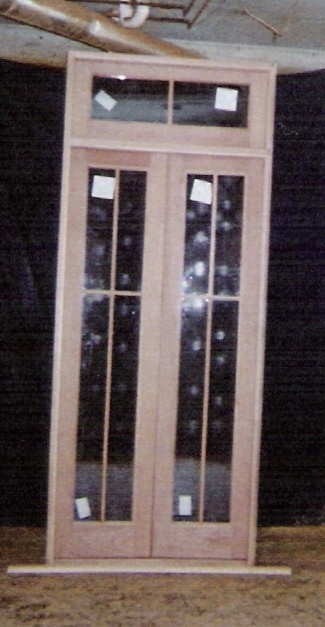 Elliptical arch top interior door unit with true divided light-division between rooms. 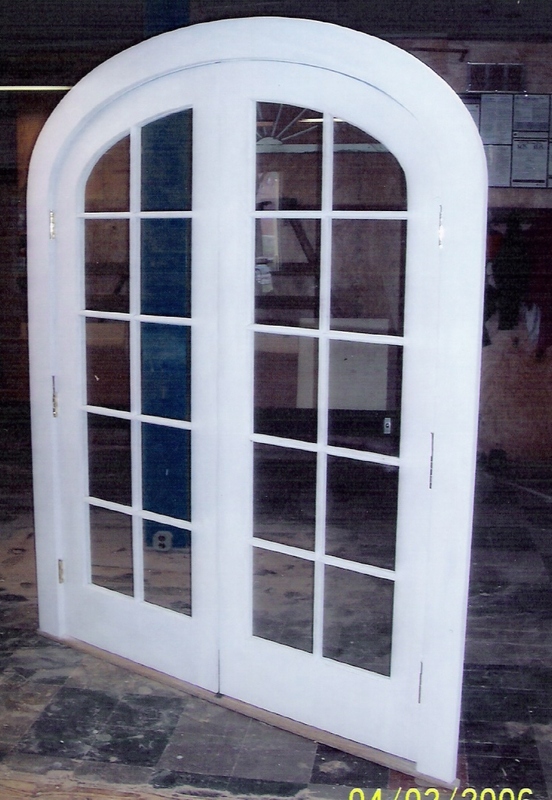 Arched top double french exterior door unit.- Single pane glass - restoration project in MA Interior double arch top door unit -single pane glass panel - restoration project in Main. 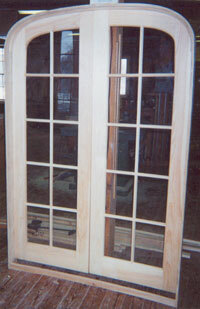 We specialize in manufacturing custom wood French doors ; interior, exterior, single or double, arch top, single arch, double arch, inner arch, gothic arch, doors with transom unit on top, patio doors, entry way door units, kitchen door, front door, pocket doors, true divided muttons, simulated mullions, restoration glass, wavy glass, ob secured glass, pattern glass, double pane insulated glass, single light, or multi lites, beveled glass, door only, or pre-hung in jamb unit. 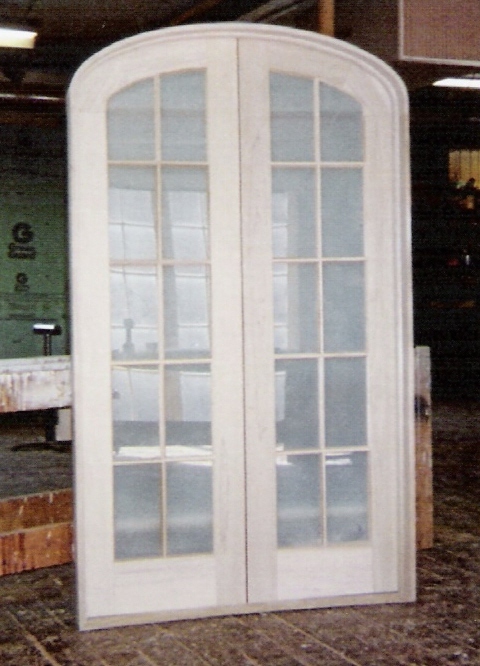 Reproduction of existing to match or custom fabrication to custom design. 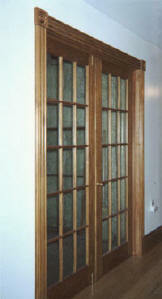 We provide custom trim casing molding for doors as well. 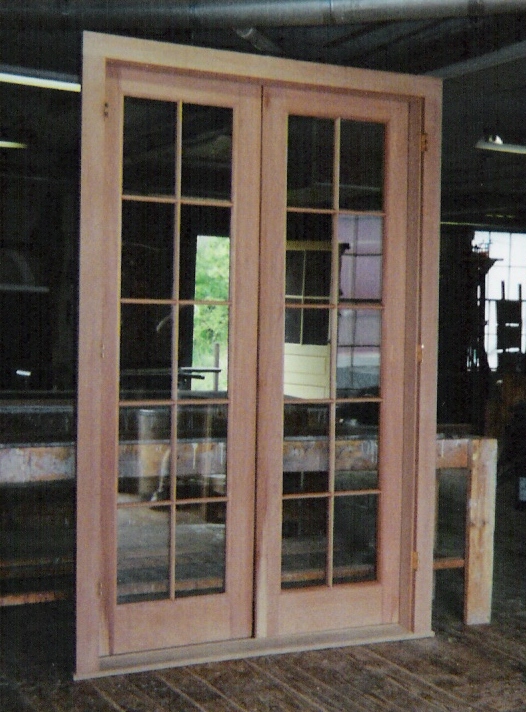 We are located Up State NY - north of Syracuse and south of Watertown New York.